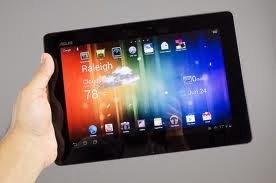 The most important feature of any tablet is the screen, mainly because there's not a whole lot else to it. And the screen is what marks the third 7).- iPad apart. Yes, it looks like an iPad 2 (but lighter), but everything you do on it is now rendered in glorious 2048x1536 on its 9.7in • ch is? Retina Display. Photos, games and movies look incredible and text is eggshell-smooth, making reading, communicating and browsing a richer and less fatiguing experience. 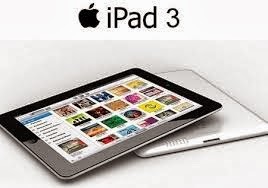 A faster dual-core chip and quad-core graphics make it slicker and more user-friendly than ever and given the unparalleled riches of the App Store, it's still the most fun of all the other 9 tablets here. The Asus-built, Android Jelly Bean-running Nexus is simply astonishing value. 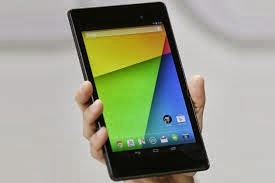 A passable 7inch HD IPS screen sits in front of a might Tegra 3 processor, making it brilliant for gaming, but there are also next-gen toys such as NFC and the all-seeing Google Now to play with which make this device just like any other tablet with a higher processor. 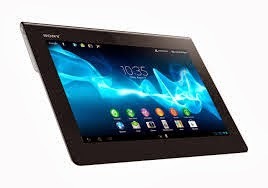 Tablet PC shipments are expected to reach more than 240 million units worldwide in 2013, easily exceeding the 207 million notebook PCs that are projected to ship! Tablet PCs with 7-8" screen sizes are expected to account for 45%, or 108 million units of the market in 2013, overtaking the 9.7" size which will account for 17% share or about 41 million units. Don t underestimate the keyboard dock. The infinity uses it not just for its trackpad and keys but also for connections and extra battery life. Along with quad-core power, it makes this full-HD screener a netbook beater. The price tag on this device is astonishing in comparison to other netbooks. A stunning finish makes this the prettiest Apple tablet yet. The 7.9inch screen shares the 1024x768 resolution of the iPad 2, but its not as crisp as the Nexus 7 or Kindle Fire HD. 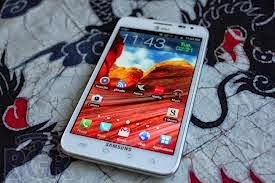 Excellent apps push it out in front but at a costly price of Dollars 160+ than the Nexus 7. 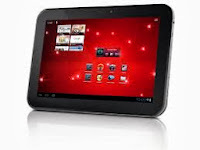 Fancier, faster and skinnier than the predecessor tablet S before it, this 1280x800 quad-core slate has a magazine-style fold for easy gripping. At 570grams the solid aluminium build is lighter than the iPad, and DLNA skills and an IR blaster make it the perfect living-room slate. There are above 750,000 active apps in the iOS app store. While Google recently announced that its Google Play store now offers 700,000 apps and counting! This Winch Ice Cream Sandwich tab has an IR blaster, the ability to run certain Samsung apps side-by-side and comes with a handy S-pen.The tablet comes with a super-precise stylus with loads of optimized apps. It's just a shame that the screen is merely 1280x800 for a tablet of its performance. Inside the 10 linch Toshiba's inauspicious plastic shell beats the heart of a warrior. It has the same Tegra 3 chip as the Nexus 7 and Acer A700, so everything runs super-smooth on its 1280x800 screen. Loads of input connections too. Just don't expect any excitement, the same kind of excitement you get with a Toyota. On paper, this Acer is nothing short of amazing; it has a 10.1inch full-HD screen, loads of connections to be plugged into it and a quad-core Tegra 3 brain. Oddly, though its a bit laggy in use and the shallow gadgeteer will note that its fatter and uglier than its foes. slot and cut its price. Which actually, is fine with us as long as the screen's excellent and the performance of the Tab keeps us happy without any lags. 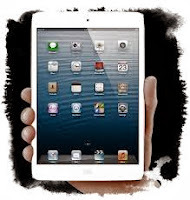 Size, most tablets are either 7-inch or 10-inch, or thereabouts. The 7-inch models are typically more affordable, but due to the smaller size, they may have less powerful hardware inside.The larger tablets offer the dual benefit of a bigger screen size and faster hardware. Both are useful, so select the size that best fits your needs. Sluggish tablet, despite the size differences, tablets are essentially small computers. And like PCs, they will occasionally suffer from issues caused by poor memory management, system errors, and file corruption. Sometimes the easiest way to resolve performance problems is to reboot the tablet. Note that this is different than simply pressing the Power button and putting the tablet into a sleep mode. The quality of your Wi-Fi signal can be affected by a number of different things. First, you may be experiencing interference from a neighbor's Wi-Fi signal Other devices that cause interference include cordless phones, baby monitors, and Bluetooth devices. An entire room may be included in a dropout area, depending on the walls. 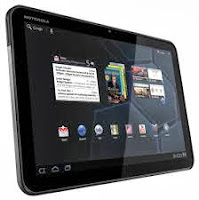 The Motorola Xoom 2 Media Edition trumps its 10inch sister tablet by virtue of a smaller 8.2inch screen. This makes it light, pocketable and as the name would suggest, great for kicking back on the sofa. The downside is the battery life does tend to suffer as a result.